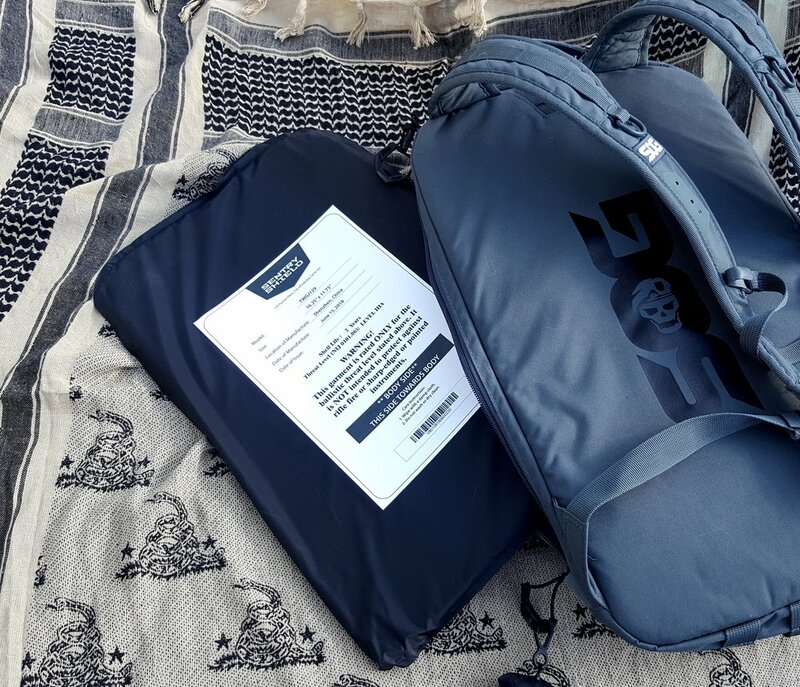 SentryShield is making a IIIA ballistic panel intended for backpacks. I noticed the press release a while back and inquired about it. Sentry Shield then sent me a panel to review. Having a teenage daughter that attends high school, any bit of extra protection for her is a good thing. Plus, I get the advantage of using it also. I am going to not actually shoot at this ballistic panel. Having a NIJ (National Institute of Justice) certified level IIIA rating tells me what I need to know about its protection level. I have shot level IIIA vests, so I understand what this level of protection does. This rating is for handguns only, as rifles and fast moving projectiles will pass right through the armor. Click on the picture wheel to see what level IIIA is. Remember level IIIA covers the previous levels also. Now that that's out if the way. The SentryShield panel is made of UHMWPE (ultra-high-molecular-weight polyethylene) thread woven together. It then has a nylon shell around the UHMWPE. UHMWPE does have its pros and cons. One big pro is its weight. The 16.25×11.75” panel only weighs 1.74 pounds. So putting it in a pack is barely noticeable. Another pro is its slim size. At less than ½ inch thick, it doesn't take up much of the useful space in your pack. Now a downside to UHMWPE is temperature. Basically you want to keep it between -15°F and 150°F. Anything above or below this specification and the material will start to degrade. And no one wants that in a ballistic panel. Some of you might be wondering why anyone would want or need this. Well, we live in an unpredictable society. A backpack or laptop bag is basically a man purse. Anyone seen wearing or carrying one is not really noticed. Now you can blend in and still have some ballistic protection, if needed. With a backpack, if the need arises, one can just put the backpack on backward, and have a front level IIIA protection while keeping your hands free to do other work. As mentioned earlier, you can equip a child with a ballistic panel, without adding huge amounts of weight. It may not be rated for rifle rounds, but level IIIA is better than nothing to keep a loved one safe. Gun fire is also not the only use for ballistic panels. As we have seen, explosives can be a hazard also. Just look at the Boston marathon bombing. Panel's, like the Sentry Shield, may also protect you from shrapnel or flying metal produced by an explosion. I know we are talking about just one single ballistic panel. But, what about the use of it against blunt objects. Every body armor I've tried, seemed to also help with spreading out the force, of say, a bat, or even a fist. So a backpack panel might also help you out of other situations. When I used the backpack panel, I really didn’t even notice it. The panel slides nicely into most packs. I happen to slide it in the laptop section of my pack. The Sentry Shield panel does goes have a front and back side, just remember to put the side labelled “strike face” outward, away from your body. I really did not even notice the panel when carrying the backpack. If you want a smaller panel, they make one for a handbag, so it is slightly smaller. The SentryShield ballistic panel is pretty nice. It fits into just about anything, even a plate carrier, if one wanted to do so. The price is excellent at $90. It’s rated for most handgun and shotgun rounds. So if you’re in the market for something like this, go check out SentryShield. I have a backpack that I really like because it has a weird kinda design that I haven’t been able to find anywhere else so I didn’t want to replace it, even though everyone’s talking about bulletproof backpacks nowadays. 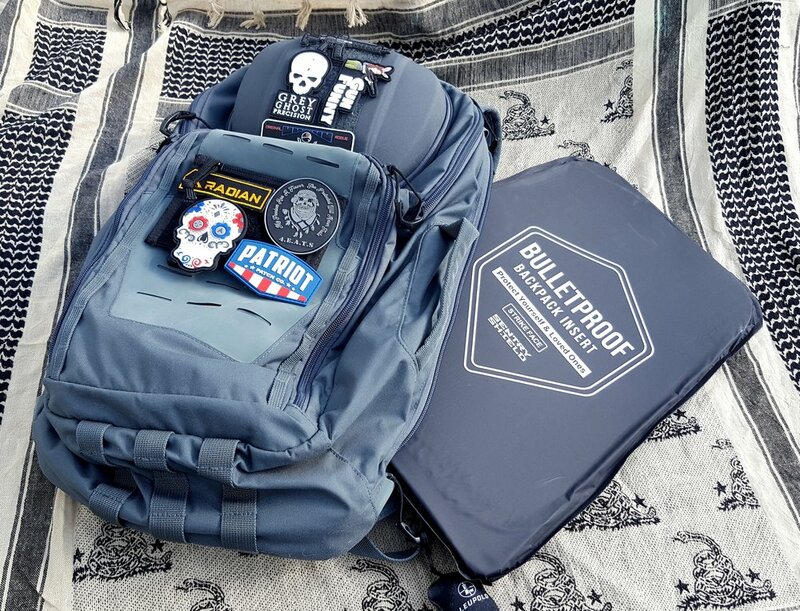 I can’t afford a bulletproof tactical backpack and a kevlar vest is uncomfortable. My friend told me about inserts and then I saw that SentryShield makes them. It came to me in about 2 days (business) and it’s made nice. it fits the weird inner slot of my backpack perfectly. I’m hoping I never have to use it, but I’m glad I got it. I did have some questions about the product and I called customer service. They were nice!